Lucy Lu is the Founder and Global Managing Partner of Lucy Lu & Associates and leads the firm’s general practice, expansion and executive management. Ms. Lu’s practice encompasses all aspects of business immigration, corporate, transactions, federal investigation, franchise, and China practice. Under Ms. Lu’s visionary leadership, the firm has expanded its practices to best suit our clients’ growth. Ms. Lu built up a highly efficient and competent legal and support team with the goal of helping our clients to succeed, providing necessary resources, and growing with our clients through a long-term healthy relationship with mutual benefits. Ms. Lu founded the firm in 2009 with the idea of providing our clients of a more comprehensive, personal and scalable practice. Since that time, she has become recognized as a business leader in the practice. The firm offers a one-stop solution for international talents and international businesses to receive quality services in multi-practice under one roof, saving our clients’ time and money. Under the leadership of Ms. Lu, the firm’s professionals have met the challenges of modern legal practice by combing quality services with innovative business solutions. 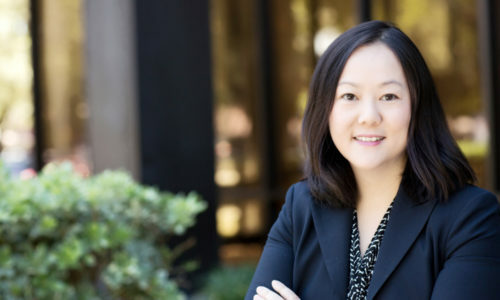 Ms. Lu has followed her entrepreneurial vision of creating a legal practice model that actually provide quality legal services to clients while maintaining affordable service fee range. As a successful business woman herself, she offers the firm’s clients not only excellent legal services but also the visions and resources to help our clients to succeed. Ms. Lu is a first generation immigrant from mainland China. She was born in a poor rural village in Jiangxi Province, China. She graduated from the Law School of Tsinghua University in Beijing China before she came to the United States. She further graduated from Chicago-Kent College of Law with a LL.M degree in 2004 and completed an executive program in Law Firm Leadership from Harvard Law School in 2017. From an average girl, to an experienced lawyer, and then to a successful business woman, Ms. Lu’s story is truly about fulfilling the American Dream through constant hard work while maintaining high integrity. It came as a nature that the firm serves the clientele of international talents and international companies with a global vision. Counsel the U.S. companies, in varies industries including real estate, education, architecture, high tech, to entertainment, entering the China market.